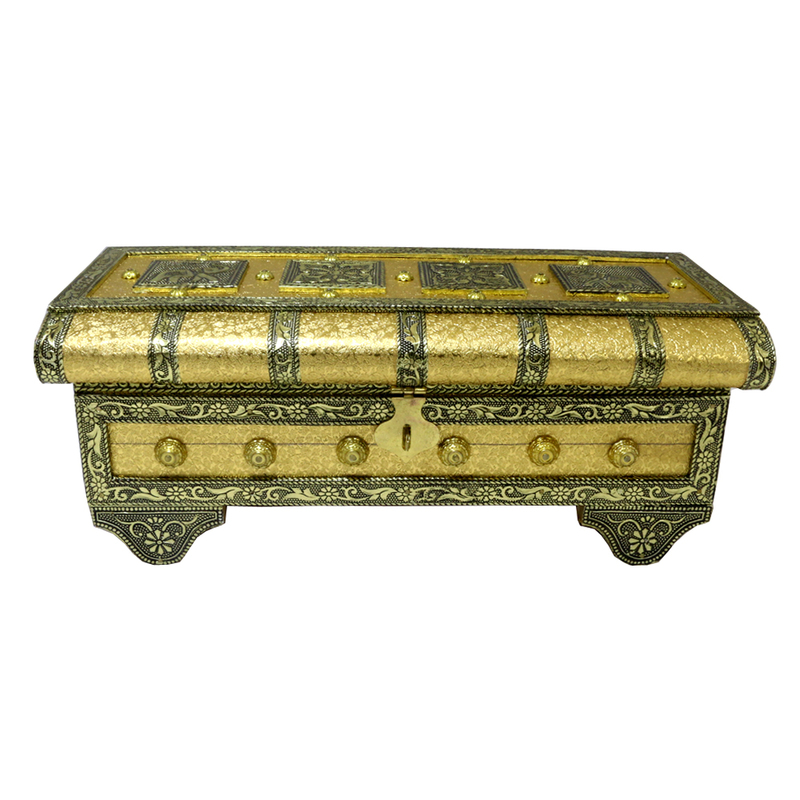 This pitari box is most demanding because of its unique shape and design. If your lady wish to have this to keep her valuables safely, then hit the order now option soon! Main USPs of this box is its shape and mindboggling design all over the body. Top of the box is flat and vigorously designed by Read More..brass and resin. But the craftwork is done so beautifully that everyone will get attracted just because of the simplicity of the design. This piece of pitati box is hot favourite among the women of Rajasthan. Show Less..